UMBC has taken important early steps in the long-term work of making the university a safer, more supportive learning community for all, with a focus on improving sexual assault prevention and response. This follows last Thursday’s community listening session on sexual misconduct and campus safety—an event that resonated deeply with attendees, who filled the Fine Arts Recital Hall and two overflow spaces across campus. Guiding next steps is a leadership committee appointed by President Hrabowski, which met for the first time on Monday, September 24. 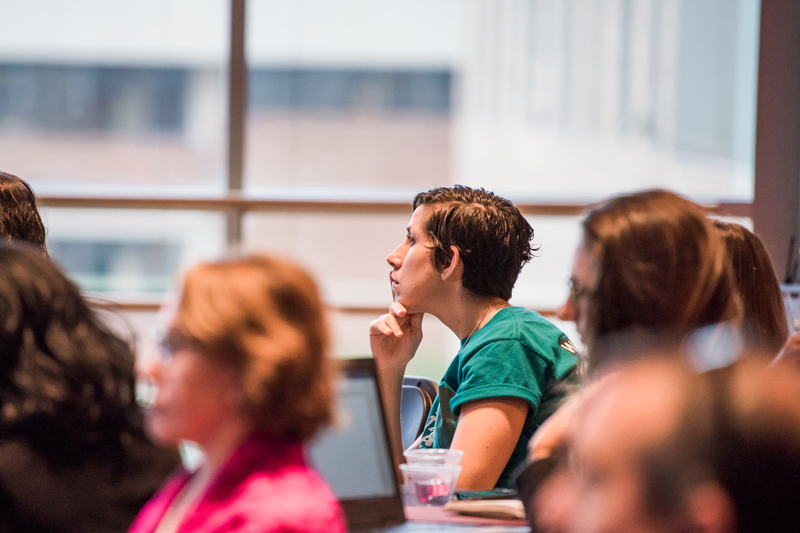 This group will engage with student partners; faculty, staff, and student shared governance organizations; and other community members to review comments and recommendations received through the listening session and other outreach; engage external expertise to evaluate current policies, practices, and resources; and keep the UMBC community updated on progress. Co-chairing the leadership committee are Vice President for Student Affairs Nancy Young and Vice President for Administration and Finance Lynne Schaefer. Also serving are psychology professor Christopher Murphy, whose research focuses on abuse and violence in intimate adult relationships, and Jess Myers, director of the Women’s Center and advisor to the survivor-advocate student organization We Believe You. Additional members include Assistant General Counsel Morgan Thomas ‘13, political science, who has deep familiarity with Title IX, and Chief of Staff Candace Dodson-Reed ‘96, English. Student Government Association (SGA) and We Believe You will be among the leadership committee’s core partners in the work ahead. 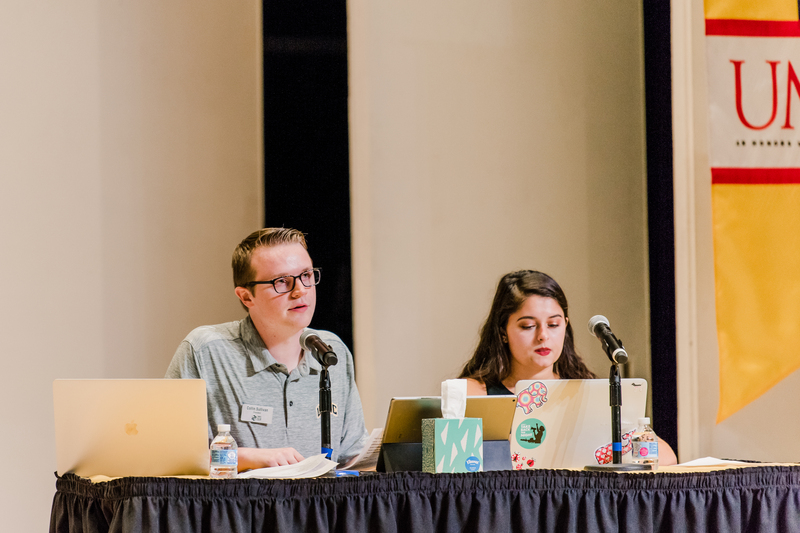 SGA President Collin Sullivan ‘19, information systems, and We Believe You Vice President Kim Spadafora ‘20, mathematics, served as moderators for last week’s listening session, and have voiced their commitment to being engaged in this work for the long term. Collin Sullivan (l) and Kim Spadafora (r) at UMBC’s listening session on sexual assault and campus safety, Sept. 20, 2018. Informing the committee’s work is current scholarship, highlighted by Myers and Murphy, on how the quality of institutional responses to sexual assault can profoundly impact students, potentially exacerbating prior traumas. Women’s Center Director Jess Myers at a Title IX/Sexual Misconduct Seminar in September 2018. The leadership committee recognizes that achieving lasting change will require an extensive, long-term process, bringing together a diverse range of UMBC community voices and additional expertise. As one of its first actions, the committee will engage campus partners in selection of a third-party consultant to inventory and evaluate existing UMBC resources, policies, and practices related to campus safety, particularly preventing and responding to sexual misconduct. The group is also looking at more near-term strategies to make UMBC a safer, more supportive community. One initial idea, recommended by student leaders, is reprinting all campus cards to include clear information on how to report sexual misconduct and where to find support and resources. President Hrabowski, Facilities Management, UMBC Police, and student leaders will also soon complete a lighting tour of campus, to see where additional lighting may be needed. Moving forward, the university can expect to hear regularly from the leadership group about action steps and how community members can be involved. Header image: Women’s Center resource table at the campus listening session. All photos by Marlayna Demond ’11 for UMBC.